After a few days of praying, crying and a much needed heart to heart with my loving husband, I have ended the war with my hair. Now don’t get me wrong, its still going to take some time for me to learn how to manage it but I am no longer, in denial..better yet disappointed with my hair. I want to show you guys something. Check out my 4c baby hair! These are pictures of me as a child along with my beautiful mother in the early to mid 80’s. Now to give you a little history. My mother died when I was about 6 or 7 years old. I have very little memories of her now at age 29 and even fewer pictures. Recently distant cousin tagged me in some old photos on facebook. This was truly a nostalgic moment for me in so many ways, but what I wanted to point out is..MY HAIR! Not only my hair but my mothers hair! OMG When I saw it, I just started literally laughing out loud. When these photos were taken my mother was about the same age that I am now. But again, look at our 4c hair! How could I have possibly thought that my hair was anything else! 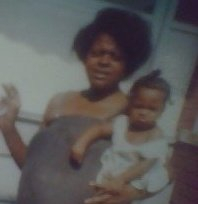 LOL I never knew this but my mother was always natural! yep, she never had a relaxer, jheri curl or any of the other hair trends that went around during the 70’s and 80’s. 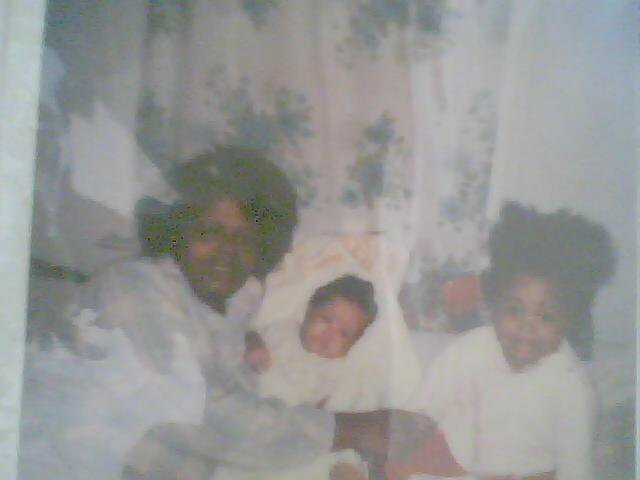 My mother proudly rocked her fro!